Could Shkodran Mustafi already be on his way out of Arsenal? 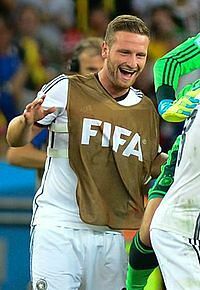 Arsene Wenger has refused to rule out the possibility of Shkodran Mustafi leaving Arsenal. The centre-back only joined the club from Valencia in a £35million deal at the end of August last year. The Mirror have suggested that Inter Milan are keen to take the Germany international on loan with a view to signing him for £20million next summer. “It’s difficult for me to speak about any individual cases because we are now in the final seven days of the transfer market. Injuries interrupted Mustafi’s season last term and he has struggled to make much of an impression. With Per Mertesacker in his final season in north London, Wenger may be reluctant to lose another defender, though he has Rob Holding coming through into the first team. Calum Chambers is also expected to stay despite his first team opportunities being limited. It’s also claimed, via the same report, that the Gunners are in the race for Southampton’s Virgil van Dijk, even if Liverpool remain the favourites to land the Dutchman.